Bring the ham hocks to boil with the bay, onion, carrot and celery. Gently simmer for two hours or until fully cooked and the meat is falling away from the bones. Take the hocks, carrot and celery out of the cooking licker and pull the meat discarding any bone, fat etc. Mix the meat with the flat leaf parsley, whole grain mustard and check for seasoning. Layer the meat in a terrine mould with the carrot and celery saved from the cooking. Cover with some of the cooking licker and leave in the fridge to set over night. Puree the ingredients together in a food processer and check for seasoning. 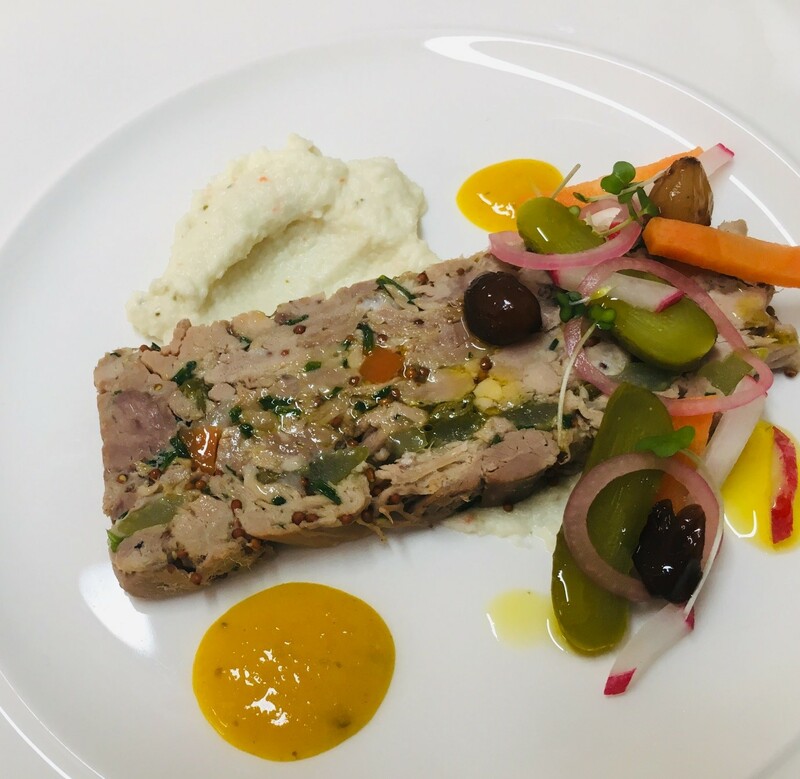 We have served our terrine with the cauliflower puree, a piccalilli dressing, lightly pickled vegetables and mustard cress.